Electric Mobility Canada is the voice for electric transportation in Canada, and advocacy is an inherent part of its mandate and activities. Through its Government Relations Committee, EMC maintains contact with federal, provincial and municipal governments on critical policies regarding the electric transportation and its infrastructure. The advocacy done by EMC on behalf of its members is not only for electric cars, it is also for buses, trucks, trains and others types of electric transportation. EMC members have acted to guide government policies and programs at all levels to support the introduction of electric transportation, especially passenger cars. Provincial incentives to purchasers of plug-in electric cars have been introduced in British Columbia, Ontario and Quebec. There are other issues that EMC members can address to make electric vehicles in particular more attractive to Canadians. Fairer treatment of taxable benefits for personal use of an employer’s electric or hybrid vehicle. Accelerated capital cost allowances to make the purchase of electric and hybrid vehicles competitive with conventional vehicles. Tax credits for installing workplace charging for electric vehicles, and DC Fast Charging public stations. Electric transportation is the solution to many of the economic and environmental issues in Canada’s transportation sector. Clean electrical power. Over 65% of our electricity comes from renewable sources making Canada’s electricity one of the cleanest in the world. Electric vehicles have no or very low tailpipe emissions, helping Canada to achieve its plan to reduce greenhouse gas emissions. Electricity is the most widely distributed form of energy. 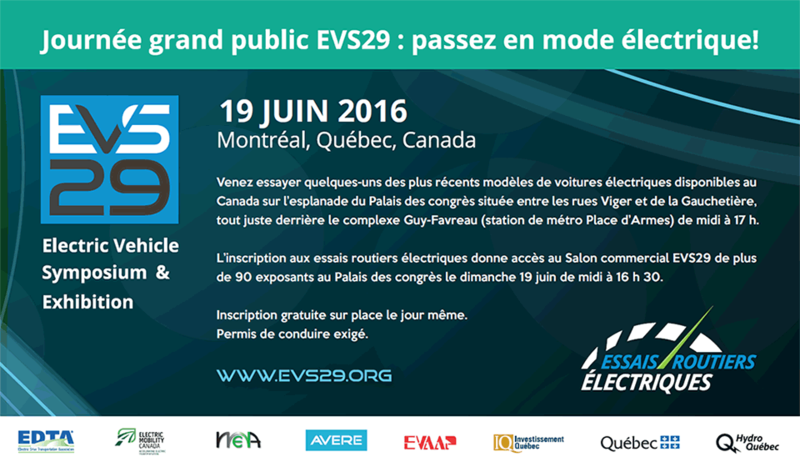 EVs can be charged wherever there is electricity, and can plugged into a regular 120V outlet. The vast majority of the charging is done at home, which means waking up every morning to a fully charged car. Furthermore, the public charging infrastructure is quickly growing to support EV drivers anywhere. Electricity prices in Canada are regulated by public agencies, unlike petroleum products. Transmission of electricity has a safety record superior to other forms of energy.